ArtPrize Nine came to a close just a few weeks ago, but there are still plenty of ways to keep the energy of the event alive in your classroom! 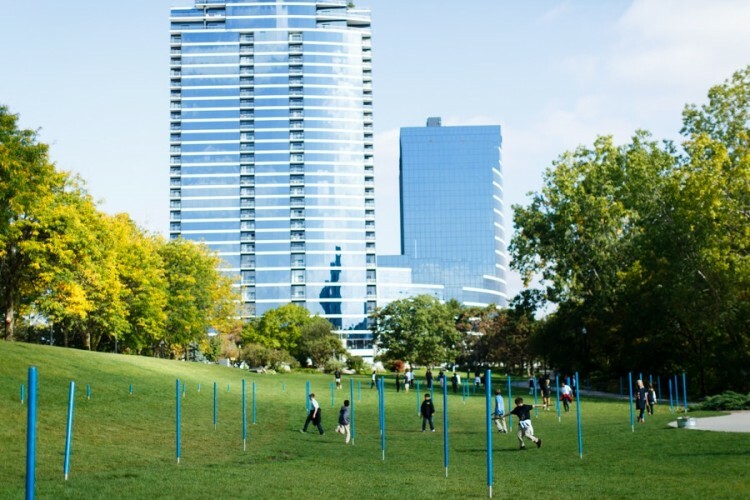 Below are five fun ideas to cultivate connection points to your ArtPrize field trip year-round. 1. Create A Pop-Up Museum. At ArtPrize Nine, your students had the unique opportunity to visit a variety of venues and different curatorial approaches. Take time to reflect on the art of curating and empower your students to organize their own pop-up museum, art exhibition or art walk in your classroom, school or community. Does your school already host a mini ArtPrize? Share your story with ArtPrize. Contemporary art is a reflection of the world we live in today and often explores current events and social issues. With over 1,300 works of art that were on display at ArtPrize Nine, there is still lots to explore and discover on the ArtPrize website. Entries can be searched by using keywords, making it a great tool to easily connect ArtPrize to your curriculum. 3. Be Inspired By ArtPrize Winners. Build unique projects inspired by ArtPrize Winners. Share your lesson ideas with ArtPrize. 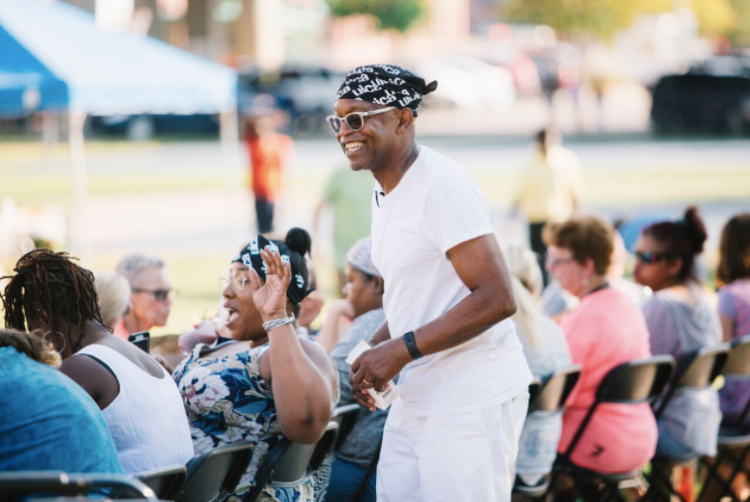 The Heartside Community Meal, by Seitu Jones, was the ArtPrize Nine Jurors’ Grand Prize Winner. 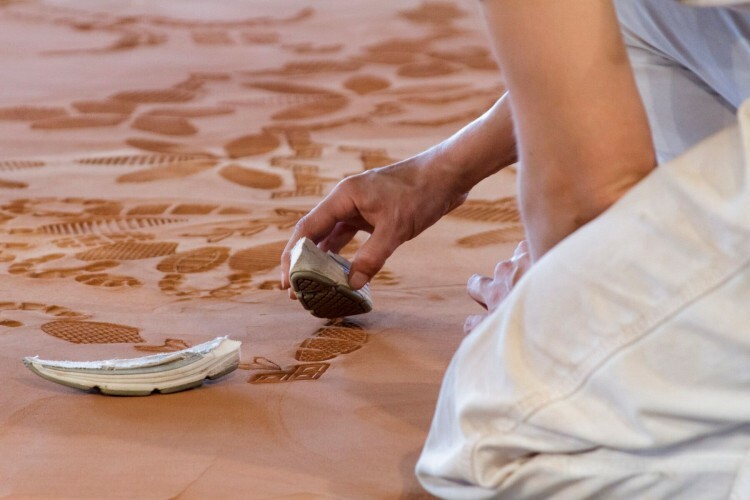 This Time-Based piece united a Grand Rapids community in a poetic and artful experience. The work is full of cross-curricular connections to science, social studies, history and food justice. Science Meets Art, STEAM Results, created by Forest Hills Public Schools is an example of a lesson inspired by the ArtPrize Nine Public Vote Grand Prize Winner, A. Lincoln, by Richard Schlatter. The Diatribe uses poetry as a catalyst to educate, inspire and empower our future leaders. Invite them to your school to host workshops or an assembly. Artists Creating Together brings the arts to children, youth and adults with disabilities through school programs, workshops and residencies in schools. They offer visual arts, music, dance, puppetry, creative writing, theatre and more. 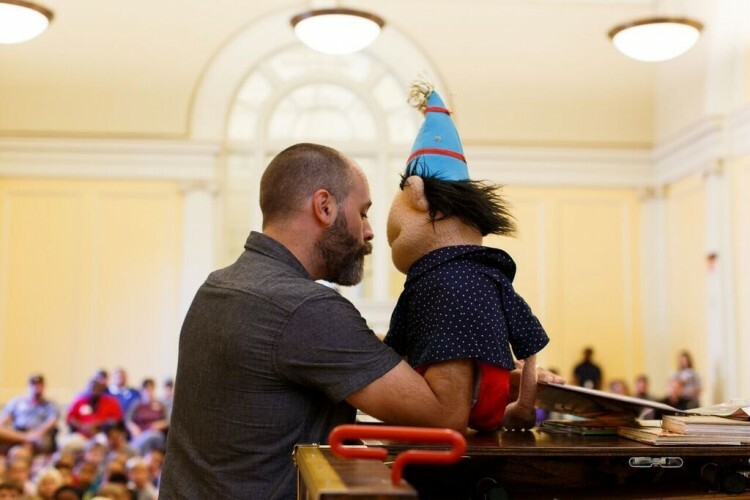 Kevin Kammeraad and Michael Hyacinthe provide school workshops that combine imagination with technology to create collaborative visual stories. Visit www.wimee.tv for more information. 5. Art & Culture Field Trips. The Grand Rapids Art Museum's fall exhibitions, Andy Warhol’s American Icons and Christian Marclay: Video Quartet opened on October 28. 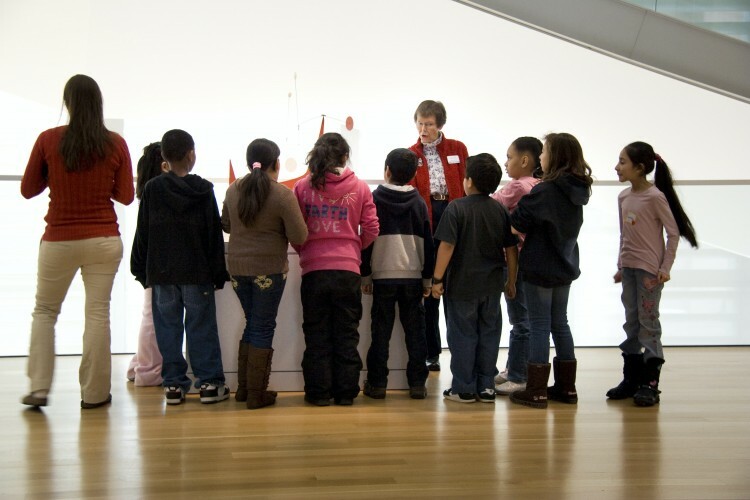 GRAM offers docent-led tours and workshops that enhance analytical skills vital to art studies, as well as all other areas of the school curriculum. Contact Emily Jarvi, School Experience Manager at ejarvi@artmuseumgr.org for more information.